Are you looking for ways on how you can learn to play piano? Here are lessons, tips and articles to help you get started. Learning to play the piano at any age and stage of your life is a wonderful venture. Perhaps fulfilling a dream from childhood, coming back to the piano after many years of not playing, or looking for a new challenge and enrichment which learning to play the piano surely is. And no- It's never to late to learn piano. 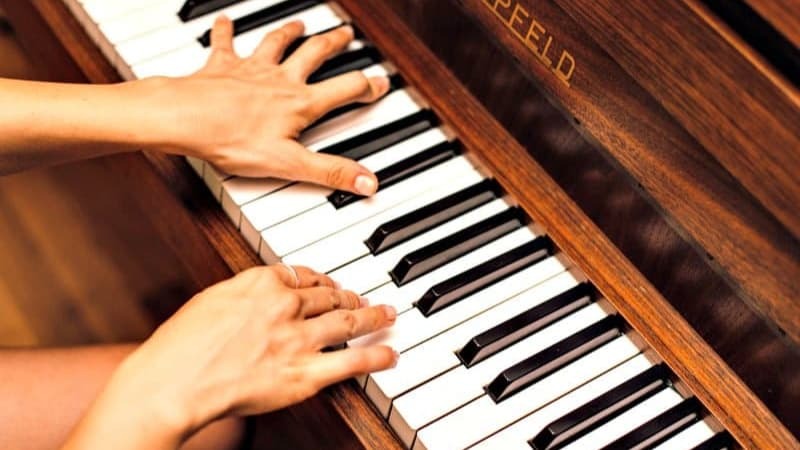 Read about adult piano lessons and why they're good for you! Here you'll find articles and guidance about how to get started, the first lessons, tips, tools and help whether you're teaching yourself or starting lessons with a teacher (or a little of both!). You can start by reading my Top Tips for Adult Beginners. Can You Teach Yourself to Play the Piano? Yes, you can teach yourself to play piano. In the past it would have been more difficult, but today you can find tons of guidance with online piano lesson courses, books, videos and software that has made teaching yourself a lot easier. That being said- the best is to take regular lessons with a skilled piano teacher. If that's not possible, it's a good idea to at least take occasional lessons with a dedicated piano teacher, to avoid developing any "bad habits". 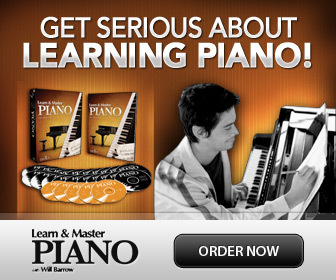 How to Learn Piano: Teach Yourself or Start Piano Lessons? Here are online piano lessons for beginners. Use them to get started with your piano playing, or as "in between lesson guidance". What is your piano playing story? Share it! Enter Your Title, for example "I Never Thought I'd Be Able To Play The Piano..."
If you have uploaded your own Video on You Tube- you can also put the embed code above! I never dreamed of playing Bach,Beethoven and Chopin and now I can - this is my story.